NASA photo shows where Cassini entered Saturn’s atmosphere. NASA’s 20-year Cassini mission ended today when the probe was intentionally sent into the atmosphere of Saturn, destroyed to prevent any risk of contamination of the planet’s moons which will be studied in years to come. Telemetry received during the plunge indicates that, as expected, Cassini entered Saturn’s atmosphere with its thrusters firing to maintain stability, as it sent back a unique final set of science observations. Loss of contact with the Cassini spacecraft occurred at 4:55 a.m. PDT (7:55 a.m. EDT), with the signal received by NASA’s Deep Space Network antenna complex in Canberra, Australia. Pixel Scroll 9/11/17 Can He Bake A Pixel Pie, Charming Mikey? (1) AFTER THE STORM. Yahoo! Lifestyle has collected tweets with photos of hurricane damage at DisneyWorld – and while there is some, it’s not too heavy. (2) BABYSITTING ORION. Let NPR tell you what it’s like “Riding Out Irma On Florida’s Space Coast — And Keeping An Eye On The Spacecraft”. “Humidity and temperature — those are the big two that affect the spacecraft,” Helms says. For most people, if you rode out a hurricane and just lost air conditioning for a few days, it’d be a victory. For the Space Center, that’s the worst-case scenario, Helms says. (3) TOP COMICS ARTISTS SINCE 1992. SfFy presents, in no order, “The 25 greatest comic book artists from the last 25 years”. 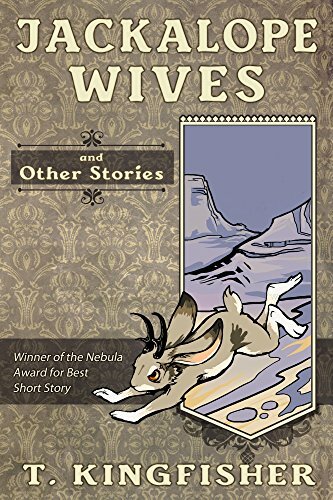 Focus on four primary authors, three women and one man: Dianna Wynne Jones, Adrian Tchaikovsky, Lois McMaster Bujold, and Carrie Vaughn. A rotating roster avoids fatigue and with women outnumbering men three to one, I shouldn’t have the same problem maintaining my desired women to men ratio. (5) EIGHTIES REBOOT. According to Deadline, “‘The Greatest American Hero’ Reboot With Female Lead Gets Big ABC Commitment”. A re-imagining of Steven J. Cannell’s 1981 cult classic The Greatest American Hero is flying back to development with a new creative team, a big new commitment and a big twist. (6) MANIC MONDAY. And another manic Chuck Wendig / John Scalzi thread. While the makers of FP no doubt knew better than to outright criticize their government and country’s agenda against its Cold War adversaries, they did find in Dr. Morbius (just say his name out loud for the proper effect) a symbol for representing their fears of a field and its practitioners who were increasingly being seen as amoral if not directly malevolent as well as appointing themselves as the single-point arbiters of what was best for the rest of humanity. This is exactly what Morbius did with the incredibly powerful and deadly Krell technology he encountered and subsequently obsessed upon as he cut himself off from the rest of his species over the next twenty years, the very same technology that had wiped out an entire civilization in one swift blow many centuries before. The captain of the C-57D was not just following protocol when he attempted to radio home for further orders once he began to realize the full extent of what he was dealing with on Altair 4: Adams was hoping to get a wider consensus on the alien power he had come upon beyond the words and actions of a single self-appointed authority figure in the guise of the scientist Morbius. September 11, 1976 – Ark II made its television premiere. If you know Wonder Woman, you’ll laugh at today’s Off the Mark. (11) SATISFIED CUSTOMER. Code Blue. Code Blue….. According to File770, The Burned Man series is eligible for the "best series" Hugo in 2018. Someone hold me, my sides have split ? Wicked Lit has been staged at Mountain View Mausoleum and Cemetery in Altadena where audiences walk through the hallways of the mausoleum and among the headstones in the cemetery as our plays are staged all around. Mountain View Mausoleum and Cemetery, 2300 N. Marengo Ave. Altadena. (13) TRANSLATION: WHY HE THINKS YOU SHOULD BUY HIS BOOK. At Slate, Lawrence Krauss answers the rhetorical question: “Why Science-Fiction Writers Couldn’t Imagine the Internet”. What I find most remarkable of all is that the imagination of nature far exceeds that of human imagination. If you had locked a group of theoretical physicists in a room 50 years ago and asked them to predict what we now know about the universe, they would have missed almost all the key discoveries we have made since, from the discovery of dark energy and dark matter to the ability to detect gravitational waves. That is because we need the guidance of experiment to move forward in science. How we hope nature will behave or how we think it should behave is irrelevant. Experiment determines what we must build our theories on, not a priori prejudice about elegance or beauty, or even what seems like common sense. Quantum mechanics defies common sense—so much so that Einstein never really accepted it. But as experiments today, from entanglement to quantum teleportation, demonstrate, quantum mechanics does describe the universe at fundamental scales. That’s why science fiction—though it can inspire human imagination, as Stephen Hawking said in the preface of my book The Physics of Star Trek—is fundamentally limited. It is based on human imagination and past experience. That is a great thing. But it doesn’t mean the science-fiction future will resemble our own. (14) JUST PUCKER UP AND BLOW. “Dr. Rufus Henry Gilbert’s Plan for an NYC Transit System Powered By Air” – The Daily Beast remembers. 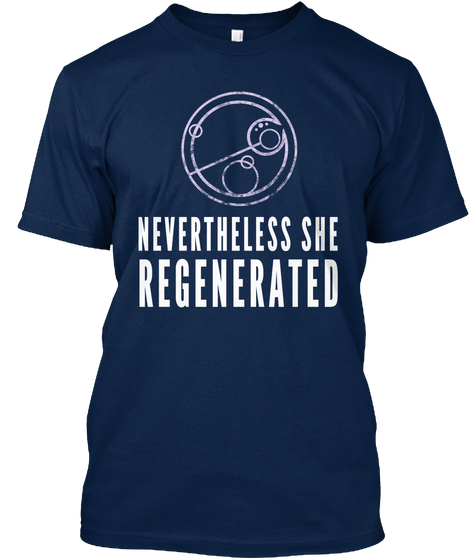 It all started before the Civil War when the doctor went on a tour of Europe following the death of his wife. There, a grieving Gilbert was gripped by the terrible conditions in the slums, and he became convinced that the overcrowded and dirty environment was to blame for the high rates of disease and death among the poor. 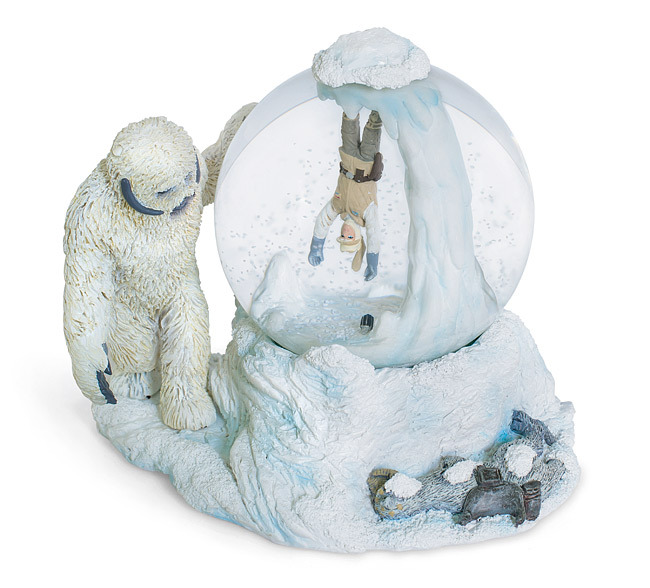 If only they could escape the cramped conditions of the inner city and live out in the fresh air, he thought, all their health problems would be solved…. Preparing for Blade Runner 2049, Leto went full method actor again, apparently partially blinding himself by wearing sight-limiting contact lenses. “He entered the room, and he could not see at all,” director Denis Villeneuve told the SWJ magazine in a profile piece about Leto. (16) THIS SPACE INTENTIONALLY LEFT BLANK. Thanks to people who have sent me links to Jon Del Arroz, or to posts reacting to Jon Del Arroz. (17) THIS SPACE UNINTENTIONALLY LEFT BLANK. Camestros Felapton, in “Just One Last Note on ex-Kerfuffles”, says the dog park of the internet has allowed its domain to expire. (18) TIPPING POINT? The BBC’s report “Offshore wind power cheaper than new nuclear” may be specific to the UK, but might also be a signpost to changes elsewhere. (19) MISSION ENDS FRIDAY. Cassini: Saturn probe to set up death plunge: “Cassini: Saturn probe turns towards its death plunge”. The international Cassini spacecraft at Saturn has executed the course correction that will send it to destruction at the end of the week. The probe flew within 120,000km of the giant moon Titan on Monday – an encounter that bent its trajectory just enough to put it on a collision path with the ringed planet. Nothing can now stop the death plunge in Saturn’s atmosphere on Friday. (1) GONE IN 60 SECONDS. They did the Monster Mash on Terry Pratchett’s hard drive, fulfilling his request that his unfinished work be destroyed: “Terry Pratchett’s unfinished novels destroyed by steamroller”. …The hard drive will go on display as part of a major exhibition about the author’s life and work, Terry Pratchett: HisWorld, which opens at the Salisbury museum in September. (2) FIFTH HUNDREDTH. StarShipSofa posted its 500th show today, a reading of Harlan Ellison’s Nebula-winning story “How Interesting: A Tiny Man” by George Hrab. 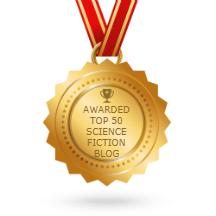 10 years young, StarShipSofa features the best of speculative fiction and fact articles, delivered weekly by host and editor Tony C. Smith, fiction editor Jeremy Szal, and authors, narrators, and contributors from all over the world. Born from the most humble beginnings, StarShipSofa has gone on to present works by legends and rising stars in the field, as well as showcasing new or lesser known voices, diverse authors and stories, and works in translation. Among many highlights over the last decade, StarShipSofa has presented exclusive interviews including Pat Cadigan, Ted Chiang, Ursula K. LeGuin, Samuel R. Delany, and the late Ray Bradbury. Last week, Show 499 featured Joe Haldeman (Aug 23), and next week Show 501 will air a story by Robert Silverberg (Sept 6). (3) SERRIED RANKS. Vox Day, in a post otherwise spent cutting down the Game of Thrones TV show and the writing of George R.R. Martin, “Compression and decompression”, includes an irresistible list that ranks the top epic fantasy authors. Does your mileage vary? Obviously, your mileage may vary, as may what you consider to be “epic fantasy”. 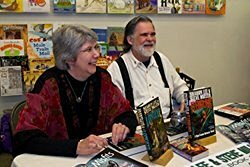 I would have Susan Cooper, Lloyd Alexander, Tanith Lee, and Anne McCaffrey all ranked above Dragonlance, but their work is better categorized in other categories. (4) IT’S A THEORY. Dragon Con advocates make their case: “5 Reasons You Should Attend Dragon*Con This Year”. After 31 years, it’s safe to say that Dragon*Con is not a fad. Last Labor Day weekend saw a record 77,000+ attendees roar into the streets of Atlanta, which beat the previous high from 2015. 2017 is on track to break the record yet again, with 82,000+ people expected to attend. By comparison, the Chick-Fil-A kickoff game between Georgia and North Carolina, which was at the Georgia Dome the same weekend last year, drew 75,000 people. It’s no secret that college football in the south is like a religion. Dragon*Con has officially become the go-to place for gamers, sci-fi, fantasy and pop culture fans to convene in the Southeast. Here are 5 reasons why you should attend this year. Unlike other big conventions around the nation (Comic Con, Wonder Con, etc), Dragon*Con remains the last big “fan-driven” con. Usually corporations sense the success of any event and put their grubby little hands all over it. Then, instead of enjoying yourself, it begins to feel like you’re walking in an ad. Dragon*Con’s popularity has done nothing but balloon over the last few years, but it still feels as fan-centric as when it started. It says a lot when you’re surrounded by 70,000+ other people and yet you still feel the intimacy and care put into each detail of the entire weekend. This factor is crucial for the first time con-goer, because it keeps everything from feeling as overwhelming as it could get. (5) TESTING, TESTING. Coast-to-coast in half-an-hour? That’s the goal: “Anyone for the Hyperloop? Testing high-speed pods in a vacuum tube”. “Guys, this is getting awkward,” billionaire Elon Musk told a group of students from Switzerland as they struggled to control their Hyperloop pod. If all goes well, their pod would eventually travel at more than 700mph (1,120km/h), propelling people between Los Angeles and San Francisco in half an hour, instead of six hours in a car or an hour-long flight. 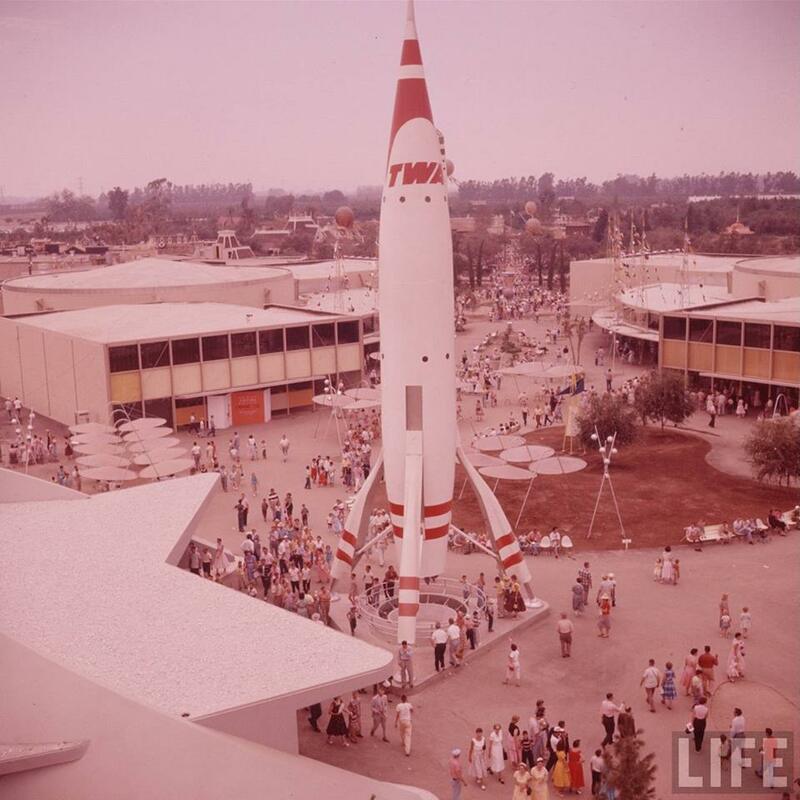 But this is early days and the students are testing their pod for the first time on a nearly mile-long vacuum tube track outside Mr Musk’s office in Hawthorne near Los Angeles. … None went even close to 700mph, but the winners, German’s Warr team from the Technical University of Munich, blew away the competition. (6) SOMETHING OLD, SOMETHING NEW. The BBC says “Cassini hints at young age for Saturn’s rings”. The spectacular rings of Saturn may be relatively young, perhaps just 100 million years or so old. This is the early interpretation of data gathered by the Cassini spacecraft on its final orbits of the giant world. The same article includes the precise time the probe is expected to break up. A little over two weeks from now. Cassini is scheduled to make only two more close-in passes before driving itself to destruction in Saturn’s atmosphere on 15 September. The probe is being disposed of in this way because it will soon run out of fuel. That would render it uncontrollable, and mission managers at the US space agency Nasa do not want it crashing into – and contaminating – moons that could conceivably host microbial lifeforms. Cassini will melt and be torn apart as it dives into the planet’s gases at over 120,000km/h. Controllers will know the probe has been destroyed when Earth antennas lose radio contact, which is expected to occur at 11:54 GMT (12:54 BST; 07:54 EDT; 04:54 PDT) on Friday 15 September. The crackle of electricity, and the patter of rain drops on the stone walls and terracotta roof give an eerie feeling when combined with the dank laboratory that houses various experiments. Give yourself a bit of liquid courage, and step forward to embrace a little bit of darkness in Frankenstein Day. The Slinky was originally designed and sold in the 1940s. The inventor had accidentally knocked a spring off the shelf, and watched it ‘walk’ down a series of books, to a tabletop, and then to the floor where it neatly coiled itself. The creator, Richard James, had gone home to his wife Betty and said “I think if I got the right property of steel and the right tension, I could make it walk. ” It took the better part of a year, but he had done it. Making 400 Slinky units with a five hundred dollar loan, James and his wife had founded a company to make, and sell, this unique toy to the masses. 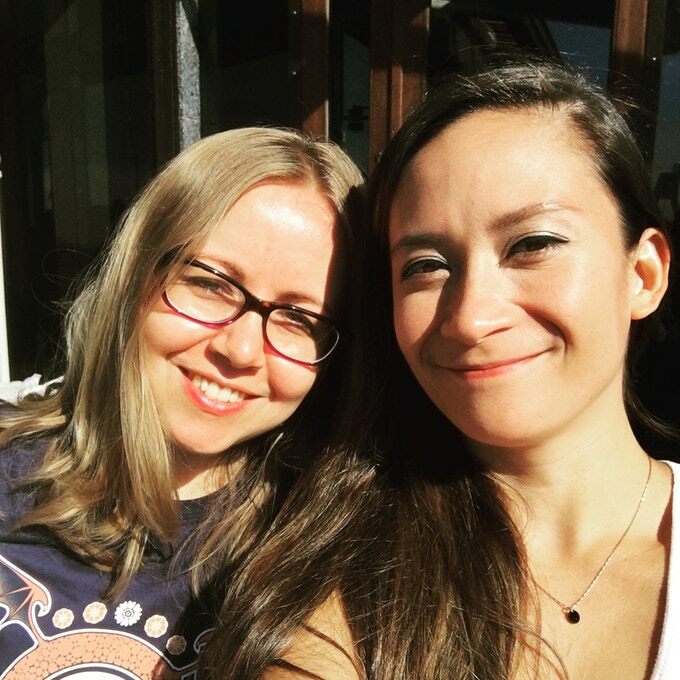 Tiptree Fellows can be writers, artists, scholars, media makers, remix artists, performers, musicians, or something else entirely; so far our Fellows have been creators of visual art, poetry, fiction, and games. Applicants will need to write short responses to two questions and to share a sample of their work. The guidelines are at this link. The 2017 Tiptree Fellowships selection committee is Gretchen Treu (chair), Mia Sereno, Porpentine Charity Heartscape, and Pat Schmatz. (9) OTHER COVENANTS. 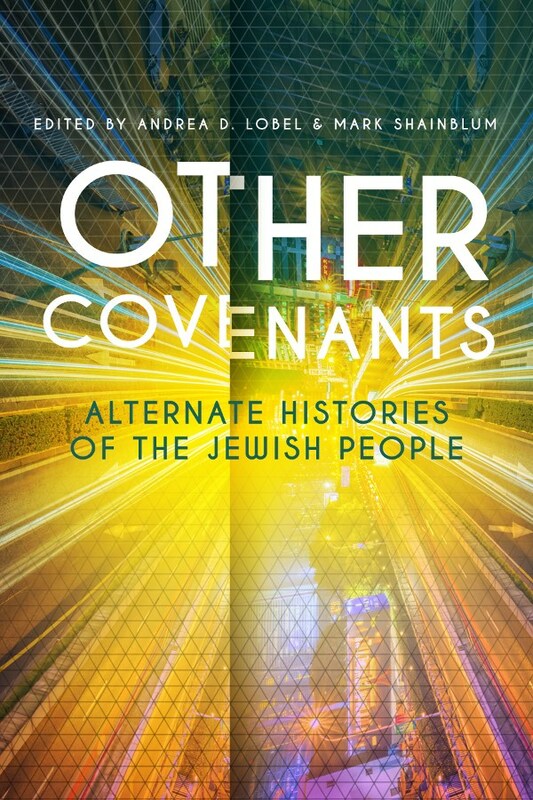 ChiZine Publications has opened a call for submissions for Other Covenants: Alternate Histories of the Jewish People, by award-winning writers and editors Andrea D. Lobel and Mark Shainblum. Contributors already confirmed include science fiction grand masters Harry Turtledove and Jack Dann. Other Covenants is now open to submissions of short fiction, through Sunday, Feb. 4, 2018, at 11:59 PM Eastern Time. Submissions must be between 1,000 and 10,000 words in length, and may be in English or French (the book will be published in English and authors will be responsible for translations). Original stories are preferred, but the editors will consider reprints of significant works on a case-by-case basis. Payment will be 8 cents (Canadian funds) per word. Authors may be from anywhere in the world and do not need to be Jewish. Full submission guidelines and the online submission system are here. (10) TEQUILA! He knows how to set up the perfect shot – whether in the studio or at the bar: “Film Director Guillermo del Toro’s Exclusive Tequila Project”. Patrón Tequila just released a special edition that you helped create. Can you tell me about the project? How long did it take you to design the intricate bottle and case? 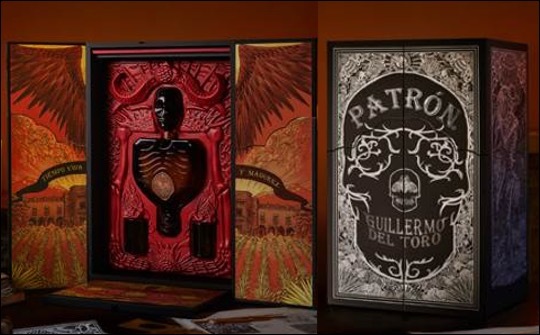 The maker’s website has a photo-filled display about how Del Toro came up with the design, and how all the components look, both in and out of the box. (11) FANDOM AT THE GALLOP. 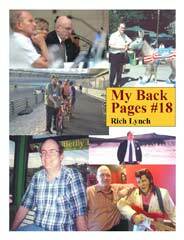 The 18th issue of Rich Lynch’s personal fanthology My Back Pages is now online at the efanzines.com website. Issue #18 notes my absence from both this year’s Worldcon and NASFiC, and has essays involving colonial debates, rescued conventions, curated fanzine collections, golden domes, long escalators, large aquariums, famous domiciles, notable science fiction fans, extinct stadiums, lingering controversies, divine ideas, memorable encounters, autographed books, enigmatic composers, 50-year reunions, fuel-efficient vehicles, personal records, motorcycle rallies, art museums, scenic sunsets, medieval cathedrals, and lots of snow-covered mountainous terrain. (12) WHAT GOES UP. Another theory to explain dinosaur extinction: a “reverse gravitational event.” Proposed by James Propp at BAHFest East 2017. (13) MUST COME DOWN. The Hollywood Reporter remembers “That Time on ‘Batman’ When Alfred Fought the Joker”. And with it being made clear in the new Justice League trailer (which already has more than 23 million views on YouTube) that Jeremy Irons’ incarnation will once again take a more hands-on role with Batman’s adventures, it is time to look back at the heroics of the first live-action Alfred, played by Alan Napier. Napier, who died in 1988 at the age 85, appeared as Alfred in all 120 episodes of the 1960s Batman television series. And of all that character’s most memorable moments, the top one has to be when he fought The Joker (Cesar Romero), who forced his way into Wayne Manor with a hostage in the season two episode, “Flop Goes The Joker.” The best part of the three-minute clip is when Alfred and The Joker sword fight with fire[place] pokers.